There was a cat under my house today. Apparently it had been there for quite some time. It scared the hell out of me when I first saw it. But I need to back up and start at the beginning. I had hired someone to do work on my house. And I say "my house" as if I've always lived here. As if I was the only one who has ever lived here. The house was built in 1860; civil war times. There have been a lot of souls in this house. But this is my time. The contractor removed the front porch. When I came home from work it was simply gone. You could see clear under the house. All the way back to the small fruit cellar. Which was likely useful when first built. When I got off my bicycle I squatted to look. It was difficult to see with the summer sun. So I squinted and surveyed. Cool, musty, basement smell wafted out. And there she was, right in front of me. Sprawled out under my house in the coolness. is that she was dead. She wasn't rotting or smelly. She was sort of mummified. And she looked at peace. and you sought refuge under the house. Was it simply old age? Or were you sick and stray and feral. as if you simply went to sleep. But one of the first things I thought was your location. Directly under the threshold; the front door. Were you some sort of omen. A good one I hope. Is where I lie every night. You were directly under my bed. Were you lying there as I lay above you? Did you take your last breath as I slept 12 feet above? And buried her in a shallow grave in my unkept backyard. 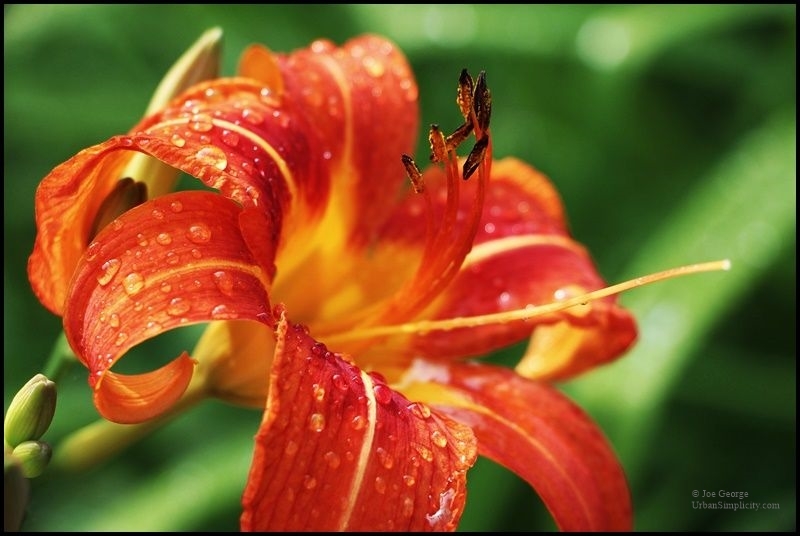 And placed a tiger lily on it, which grew nearby. All her feral friends can visit now, I thought. when I opened the back door at the day's first light. There was a gray cat sitting at the grave. He looked at me and I at he. And then in one great leap hopped the fence. The dogs barked and scampered. She's now a permanent resident, I thought.